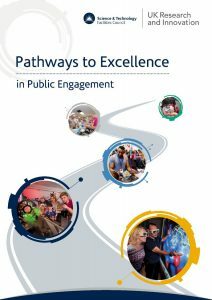 Pathways to Excellence in Public Engagement (STFC, 2018). Recent STFC-sponsored research explored how physical science researchers in the UK are responding to the requirements to plan for, assess, monitor and report impact (Holliman et al. 2018). The STFC-sponsored research found that the current system of Pathways to Impact Planning is struggling to consistently deliver rigorous, well-resourced programmes of impact-generating activity, including public engagement. Upstream planning for pathways is a key requirement for improving the overall quality of the peer review system that underpins impact. How might this be achieved? ‘Navigating pathways to research impact’ is a short video offering entry-level advice on how to plan upstream for Pathways to Impact within the context of an application for research funding. To access a copy of the transcript for the video, select: Navigating pathways to research impact’ is a short video offering entry-level advice on how to plan for Pathways to Impact (Transcript). This entry was posted in Publications, Resources, Training and tagged Creating Publics, Pathways to Impact Planning, Peer review, Public engagement with research, research impact, STFC, UKRI, Upstream planning on Thursday, 22 November 2018 by Richard Holliman. Over recent years, STFC’s Public Engagement Team has undertaken a series of strategic reviews to better understand and refine the systems used to create, support, and evaluate high-quality public engagement in the STFC community. 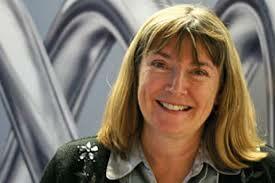 (STFC is the Science and Technology Facilities Council.) The most recent of these is called Pathways to Excellence in Public Engagement. Given my previous role as the operational lead on the OU’s Public Engagement with Research (PER) Catalyst, An Open Research University, I was delighted to be involved in two of these important reviews. In the first instance, I was a member of the review team that produced the PEACE Report (Public Engagement: Attitudes, Culture and Ethos). 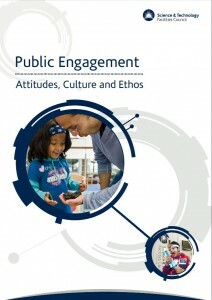 Public Engagement: Attitudes, Culture and Ethos (STFC, 2016). This review uncovered STFC researchers’ perceptions of the challenges and opportunities they faced in the course of balancing engagement activities alongside their scientific and engineering careers (see ‘Give PEACE a chance’). Together with the findings from the PER Catalyst programme (NCCPE, 2016), the PEACE report answered some significant questions in relation to how researchers are adapting to the routine requirements to plan for, enact and evidence impacts derived from publicly-funded research. Collectively, these pieces of work also raised other important questions, not least in relation to whether Pathways to Impact Planning in its current form was consistently delivering rigorous, well-resourced programmes of impact-generating activity. It is in this context that I was asked by the STFC Public Engagement Team to lead a review to explore these important issues. The recently published PEPE Report (Pathways to Excellence in Public Engagement) Report is the result of this review. This entry was posted in Publications and tagged An open research university, APPE, culture change, impact, NCCPE, Pathways to Impact, PER Catalyst, Public engagement with research, RCUK, science communication, STFC, UKRI on Tuesday, 23 October 2018 by Richard Holliman. The Research Excellence Framework is an exercise in identifying and rewarding excellence in research. It is, of course, also about resource allocation and therefore longer-term planning for research. Hence, whether we like it or not, REF 2021 (like research assessments before it) will result in cultural and organisational changes in UK universities. For those who do well, REF 2021 will lead to changes, effects and (we hope) benefits to the ways these UK universities, Units of Assessment (UoAs) and the researchers working for them conduct research, and how they engage with non-academic beneficiaries and derive social and/or economic impacts from it. For those who do badly, research will have to be funded from sources other than QR; either that or this work could be de-prioritised. 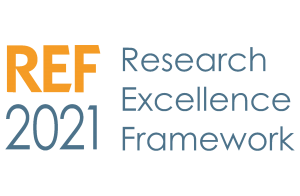 Research Excellence Framework – REF 2021. Given the power of the REF to shape research priorities, it is important that the assessment system is equitable, and that the guidance promotes rigour, fairness, transparency and consistency. Although it doesn’t specifically say so in the documentation, it seems reasonable to assume that the current REF 2021 Consultation is an attempt to promote these principles. It’s fair to note up front, therefore, that this post is prompted by some significant concerns about the current guidance and what it could mean, in particular, for the research impact agenda. My principle concern in what follows is that the REF should not be about ‘boundary work’; setting up de facto restrictive practices prior to the assessment process that unfairly favours one set of impact-generating practices over another. This entry was posted in Consultations and tagged culture change, engaging research, evidence, impact, NCCPE, REF 2021, Research England, UKRI on Monday, 17 September 2018 by Richard Holliman. Like many others working in the UK university sector, I’ve been working through the documentation associated with the REF 2021 Consultation over the last couple of weeks. It’s a comprehensive package, covering all aspects of the next REF submission. As the OU’s Academic Lead for Engaged Research, my role has been to explore the aspects of the REF Consultation that relate to the impact agenda. This incorporates, unsurprisingly, the Impact submission, but also aspects of the Environment submission. The consultation closes at 12 noon on 15th October 2018, so there’s plenty of time to contribute. What follows here are a few initial thoughts about the timing of the consultation, and what this means for the short- and longer-term assessment of impact. This entry was posted in Consultations and tagged audit, Consultation, culture change, engaging research, evidence, impact, NCCPE, Public engagement with research, RCUK, REF 2014, REF 2021, Research England, UKRI on Tuesday, 7 August 2018 by Richard Holliman. 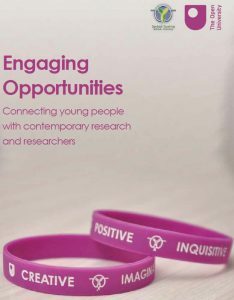 We have recently published the final report for ‘Engaging Opportunities’ (Holliman et al. 2018). Funded as one of 12 by RCUK, our project involved a School-University Partnership (SUPI) between the Open University and the Denbigh Teaching School Alliance. Informed by action research, our partnership was designed to create structured, strategic, sustainable and equitable mechanisms for effective school-university engagement with research. Over four years our project team created engaging opportunities for 11 schools and more than 6,577 people within Milton Keynes. Students and teachers engaged with authentic practices of contemporary and inspiring research in a range of academic disciplines. Through this work we offering opportunities to participate in mutual learning and develop relevant and useful skills and competencies in how to access, assess, analyse and respond to contemporary research. This entry was posted in Evaluation, Projects, Publications, Resources and tagged Creating Publics, Denbigh school, Engaging opportunities, engaging research, engaging with school students, NCCPE, RCUK, SUPI on Friday, 20 April 2018 by Richard Holliman. Is the elephant in the room working or volunteering? 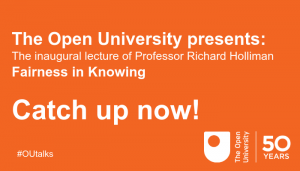 A recent report, published by an independent consultancy firm, discusses what they describe as the “hidden economic value of public engagement and knowledge exchange in UK universities” (Viewforth Consulting, 2018). The quoted figures are certainly eye-catching. Based on extrapolating the data from 1093 university staff from three UK universities the authors of the report argue that, “UK university staff delivered 40 million hours of pro-bono public engagement and knowledge exchange in 2015-16”. This evidence indicates that university staff, with the approval and encouragement of their host institutions, provide a large and economically significant volume of public service and knowledge exchange to UK society on a voluntary basis. On the face of it, this appears to be a contradiction. Can you work in a voluntary capacity with the approval and encouragement of your employer? And what does approval versus encouragement mean in this context? They’re clearly not the same thing. Further, how much of this activity was funded, directly or indirectly through HEIF (and equivalent schemes in the nations), Pathways to Impact funding, or through QR funding as a result of REF 2014? How much of the support for Widening Participation has contributed to teaching income and/or the TEF? This entry was posted in Leadership, Professionalisation and tagged culture change, engaging research, Knowledge Exchange, postgraduate research, public engagement, Volunteering on Tuesday, 20 March 2018 by Richard Holliman.